Colbert County is a beautiful area with a deep history dating back to the Cherokee and Chickasaw Indians and the early French traders around 1715. These early residents and settlers were attracted by the Tennessee River; the section in Colbert County earned the name "Muscle Shoals" because of the strength of the river in this area and the several different species of mussels. The first major industrialist was George Colbert, who operated a ferry across the Tennessee River in 1790. The earliest settlement on record is Jeffrey's Crossroads (now Leighton), around 1810. By 1818 there were three houses, a mill, and two merchants in what is now Tuscumbia. Also by this time, the town of York's Bluff (Sheffield) was already created, and by 1824 the area had over 1000 residents. The railroad in 1830; the Tuscumbia Railroad originally ran from downtown Tuscumbia to the river to carry cotton from the gins to the barges for transport down the river. Later came the Tuscumbia, Courtland and Decatur Railway which was incorporated into the Memphis-Charleston Railway, which is now part of Southern Railway. Politics after the Civil War caused the creation of Colbert County. The split from Franklin County was also due in part to population concentrations; most of Franklin County's population lived in the northern part, and it was very inconvenient to travel twenty miles to the county seat. Also, the creation of Colbert County would give North Alabama another representative in the state legislature. Colbert County was created on 6 February 1867, but was abolished eight months later by the radical constitutional convention. 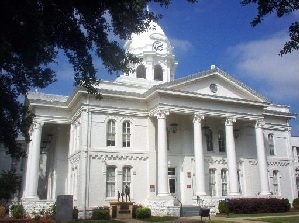 It was not reestablished until 24 February 1870, and Tuscumbia was chosen as the county seat. Today, Colbert County is a beautiful and bustling area with growing industry and very good schools. 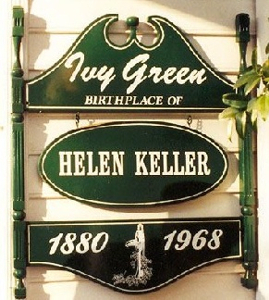 Colbert County also has great attractions, such as Ivy Green (the birthplace of Helen Keller), the Alabama Music Hall of Fame, and Fame Recording Studios. We welcome you to our county!